I illustrated "Canada" In honour of it's 150th anniversary coming up in 2017! It took me a good few weeks to put it together and feel like it was done! A lot of research went into it and i feel the palette I chose works well with the energy and flow of the piece echoing the richness of the the natural beauty we are surrounded by! We are so lucky to be part of this tolerant, peace loving country! I have just signed a licensing deal with Andrews + Blaine LTD, a private label and wholesale gift company serving large retail chains in North America http://www.puzzlewarehouse.com/andrew-blaine/ for 3 city illustrations of London, Paris and New York. They are slated to be launched in 2017 for Barnes and Nobles across the country. 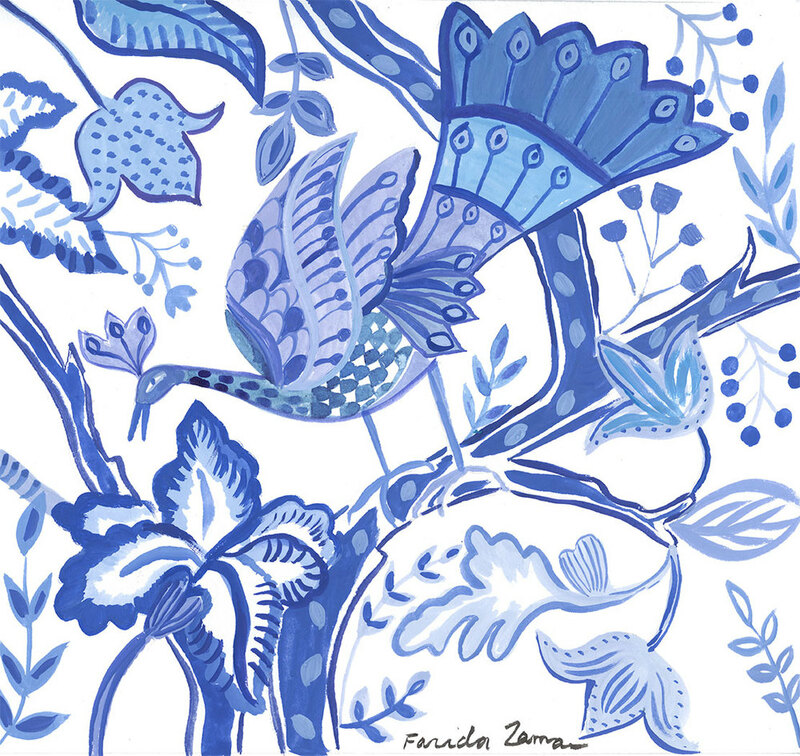 Thanks to the August Wren's #12monthsofpaint i got into painting Blue and White images. I really enjoyed doing them. This was an awesome project, where I got to use my forte in collage, colour and design to the max! My series of noteworthy cities of the world is what garnered this fabulous job for me. Researching iconic sights of TO and putting my personal style was an illustrators dream come true. My client was super supportive and loved what I did! Now Toronto commuters get to see it, starting in early January in the trains and as the cover of the "Ride Guide". The posters makes a great wall art- available from your's truly or the TTC shop!